Infectious diseases are caused by subcellular infectious entities (prions, viruses), prokaryotic bacteria, eukaryotic fungi and protozoans, metazoan animals, such as parasitic worms (helminths), and some arthropods. These organisms invade and colonize the host tissues, induce the immune system of the host to generate antibodies specifically against the organisms. These antibodies can be detected and measured by immunoassay such as ELISA for the determination of infectious diseases. 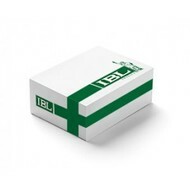 IBL-America offers a broad range of infectious disease ELISA kits for the detection of human IgG, IgA and IgM antibodies to bacterial, viral, and parasite antigens. These ELISA kits feature high sensitivity and specificity, simple and robust methods, ready-to-use reagents, and reasonable assay time. They can be used for microbiology and infectious disease research and applications. 2 hour incubation (37°C) + 2 hours (37°C) + 30 min. (RT) = 4 hour, 30 min. total incubation time. 1 control serum, ready to use. 1 positive control and 1 negative control, used to calculate cut-off value. Cut-off value calculated using positive and negative controls for interpreting results of unknowns. 1 hour incubation (37°C) + 30 min. (RT) + 15 min. (RT) = 1 hour, 45 min. total incubation time. 1 positive and 1 negative control, ready to use. 1 cut-off control, ready to use. Calculated cut-off value used to interpret results of unknowns. 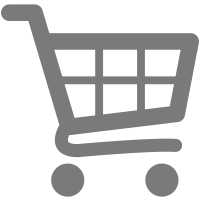 Cut-off standard, ready to use. Cut-off standard used to interpret results of unknowns. 1 hour (37°C) + 30 min. (37°C) + 30 min. (37°C) = 2 hours total incubation time. 1 negative control, ready to use. Optional Positive Control (IB05010CON), sold separately. Serum or plasma (EDTA, citrate, heparin). A calculated cut-off value is used to interpret results of unknowns. 1 negative control, ready to use. Optional Positive Control (IB05011CON), sold separately. 1 negative control, ready to use. Optional Positive Control (IB05013CON), sold separately. 1 negative control, ready to use. Optional Positive Control (IB05014CON), sold separately. 1 negative control, ready to use. Optional Positive Control (IB05015CON), sold separately. Serum, plasma (EDTA, citrate, heparin), cerebrospinal fluid (CSF). 1 hour incubation (RT) + 30 min. (RT) + 20 min. = 1 hour, 50 min. total incubation time. Negative, Weak-Positive, and Positive controls, ready to use. Results of unknowns interpreted by comparison to cut-off standard. 1 negative control, ready to use. Optional Positive Control (IB05016CON), sold separately. 1 negative control, ready to use. Optional Positive Control (IB05017CON), sold separately. Serum and plasma (EDTA, citrate, heparin). 1 negative control, ready to use. Optional Positive Control (IB05018CON), sold separately. 1 negative control, ready to use. Optional Positive Control (IB05019CON), sold separately. 1 negative control, ready to use. Optional Positive Control (IB05020CON), sold separately. 100 μL of properly diluted (1:1001) unknown / determination. 1 negative control, ready to use. Optional Positive Control (IB05021CON), sold separately. 1 negative control, ready to use. Optional Positive Control (IB05022CON), sold separately. 100 μL of properly pretreated and diluted (1:1001) unknown / determination. Human serum and plasma (citrate). O.D. values of the unknowns are compared to the average O.D. of the cut-off control for interpretation of results. 1 hour incubation (37°C) + 30 min. (RT) + 30 min. (RT) + 30 min. (RT) + 15 min. (RT) = 2 hours, 45 min. total incubation time. 50 μL of properly diluted (1:101) unknown / determination. Human serum or plasma (citrate). Calculated cut-off control used to interpret results of unknowns. 20 min. incubation (RT) + 20 min. (RT) + 10 min. (RT) = 50 min. total incubation time. Positive control and negative control included, ready to use. 100 μL of properly diluted (1:21) unknown / determination. 1 calibrator used to calculate Antibody Index value (see 'Results' section of protocol). 1 calibrator, ready to use. Calibrator used to calculate antibody index value used for interpretation of results. 20 min. incubation (RT) + 20 min. (RT) + 10 min. = 50 min. total incubation time. 20 min. incubation (RT) + 20 min. (RT) + 10 min. (RT) + 50 min. total incubation time. Cut-off value (calculated from the OD of the calibrator) used to interpret results of unknowns.